Spring cannot get here fast enough in my opinion. I am looking forward to warmer weather and spring in the outdoors. Easter is just around the corner so I plucked away at some spring and Easter cards this past weekend. I let the papers do all the work, this panel was on one of the pages in the 6x6 paper pad I was using, I popped it up with foam tape. 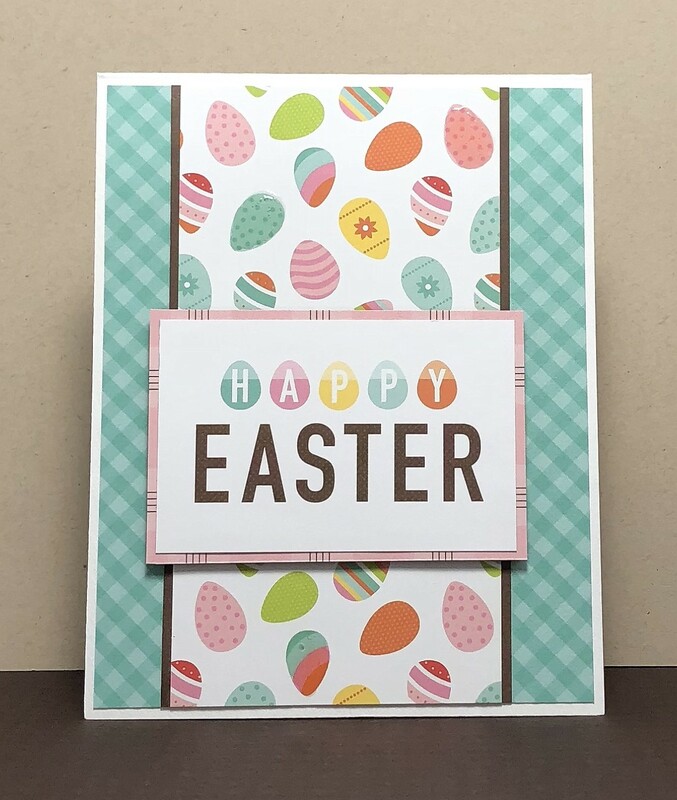 I finished the card by added some crystal drops to a few of the eggs. Supplies: White cardstock, Designer Paper-Echo Park, Nuvo Crystal Drops.